As a company, G-Code has been well-known in the real-steel firearm industry for years, developing high quality holsters and accessories. They have chosen to use kydex when making their products for its superior strength and durability over standard polymer. They have also addressed the main issue of soft holsters dropping and losing players' magazines by developing hard holsters that never hit the magazine release on the player's pistol. Because their products are made for real steel applications, they are sure to hold up to any abuse that they could experience in an airsoft game. 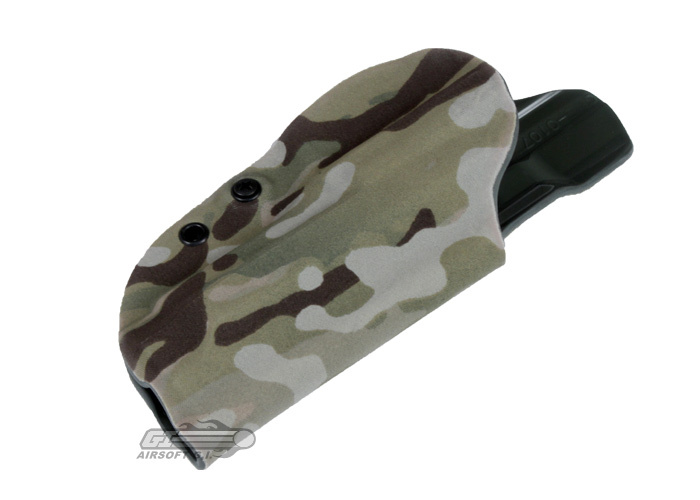 Between their superior build materials, and their experience and knowledge, G-Code is developing a line of holsters and holster platforms that are sure to make an extremely beneficial addition to any player's tactical gear lineup. G-Code is also 100% made in America, from raw materials to final product. 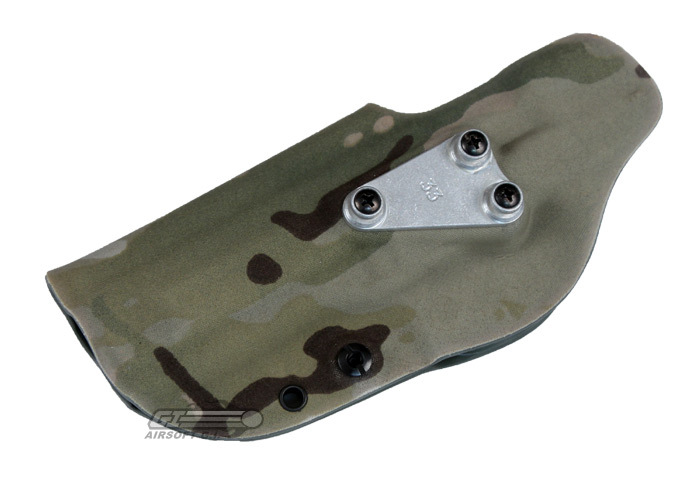 This G-Code OSH Standard Holster is meant for M9 and M9 w/ Rail airsoft pistols. It features G-Codes superior adjustable friction-lock that is adjustable to create the perfect fit for your gun. 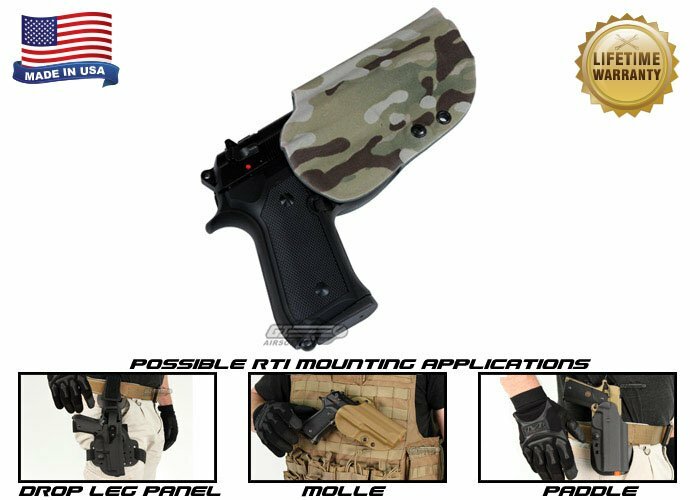 This holster creates an extremely sturdy hold with an ergonomically friendly release that is sure to give you an upper hand in a combat situation. G-CODE's patent pending RTI System consists of a secure, quick attach, detach and reattach capability. The system allows the operator to quickly and securely transition the holster or magazine carrier from the leg or belt unit and snap, click and lock at the new location. This product is the HOLSTER ONLY. It does not include a mounting platform or panel of any kind. The accessories listed in the drop down menus are the ONLY accessories that will work with this holster.